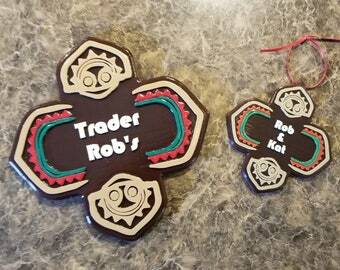 Personalized Polynesian Themed Family Last Name Sign/Plaque! It is made out of a dark brown eco-friendly thermoplastic. Each piece is hand-painted and hit with a glossy finish to preserve the color. The piece is approximately 8 inches x 7 3/4 inches. The thickness is 5/8 inch. Each piece is custom fabricated. ***FAMILY LETTERING***: Please add the family name you would like in the "notes" section upon your purchase. 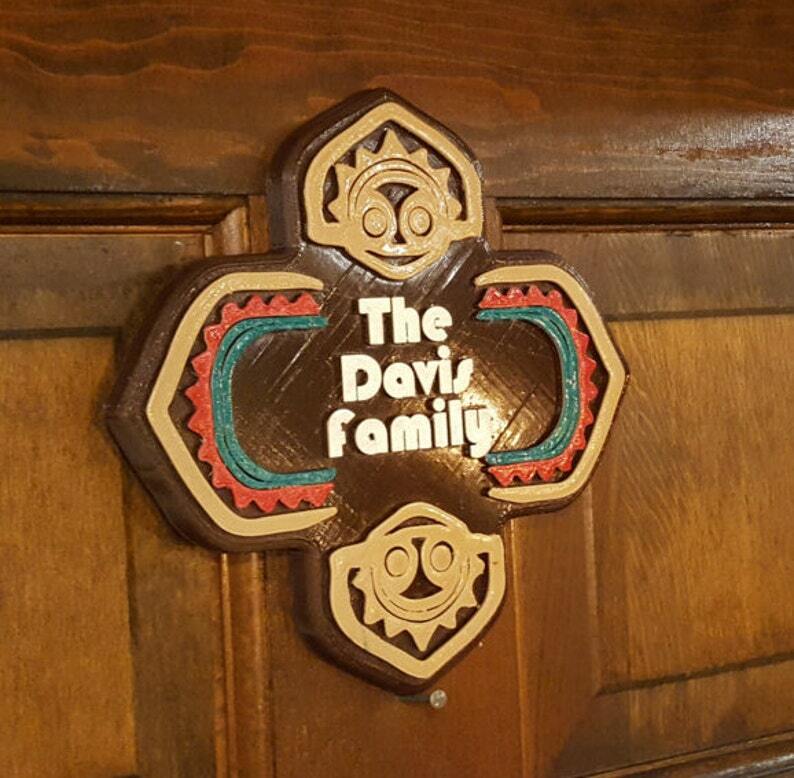 It will be placed approximately where "Davis" is located in the example photos. If you have any questions as to what length would fit in the space available, please don't hesitate to contact us. Thank you! We also offer LARGER 9" x 9" and 10" x 10" versions as well and are available in the drop-down menu. awesome, bought this as a gift and it was much appreciated. Absolutely awesome & authentic. Recipient loved it! Thank you.